my|deposits, the tenancy deposit protection scheme, is offering landlords valuable support on how to “dispute-proof” themselves when they take new tenants. September is one of the busiest months for new tenancies. There are several key steps that landlords should take at the start of every new tenancy to ensure they are able to provide suitable evidence if they are faced with a dispute over the deposit when the tenant moves out. Firstly, an Assured Shorthold Tenancy (AST) agreement should be used, and signed by both the landlord and tenant. The AST should clearly state all the terms of the tenancy, and importantly should spell out what is expected in terms of cleanliness of the property at the end of the tenancy, always allowing for fair wear and tear. 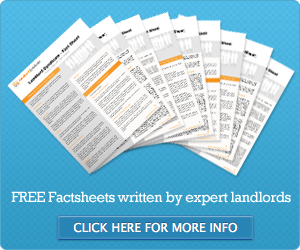 The AST acts as your legal contract with the tenant so make sure it’s clear. Landlords should also produce an inventory that is signed and dated by both parties when the tenant moves in. Rent account statements must be kept up to date and invoices or receipts for any repairs or work done on the property should be kept as evidence. When the time comes to move out, the landlord and tenant should meet for a check-out inspection, so both can come to an agreement over the return of the deposit. “Landlords can take steps to “dispute-proof” themselves before the tenancy begins, to ensure they have all the necessary evidence in the unlikely event of a dispute at the end of the tenancy. “By taking some simple precautions, landlords can minimise the risk of being left out of pocket in the event of damage to the property or unpaid rent. A recent survey by my|deposits found more than half of landlords and letting agents now use photo evidence in their inventories. For more information about my|deposits, visit www.mydeposits.co.uk or call 0844 980 0290. To find out more about the ‘No Letting Go’ inventory service, visit http://www.nolettinggo.co.uk or call 0800 8815 366. ← Retirees turning to buy-to-let investments?